My writing and occasionally, writing I like. When I was about four years old, my father bought an Apple IIc and this event determined a lot about who I am today. 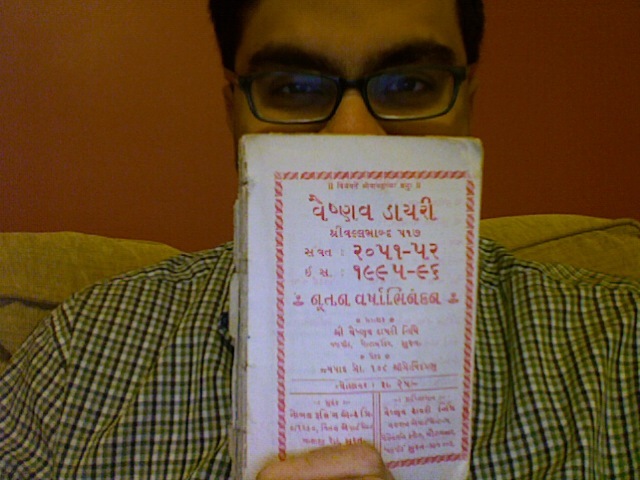 I knew LOGO and then BASIC before I knew Gujarati, my mother-tongue. My father is not a geek by trade, nor is he a geek by any traditional definition. He is the proto-geek, among a class of prime movers who made geeks possible. Before I was a fan of Star Wars, my parents were Star Wars fans. Before I had heard of Obama, my father was a fan of Obama. There is a pattern here. He bought the iPhone before I did. And now the iPad. And he has more interesting uses for both than are dreamt of in your philosophy. Friday evening, Roger Ebert started a trend on Twitter— #6wordstory. People started tweeting stories in six words; mostly lame, mostly not even stories. Veni vidi vici. Et tu, Brutus? ? Yudhishthira rolled the dice. Everyone lost. ? Billy Pilgrim became unstuck in time. ? Pinch of salt rocked an empire. I wrote this in 1996. Forgive me. He had never fought a war before; at least not at such a high level. As he walked through the battlefield, he realized the pressures. The pressures to perform, to win. Most of his colleagues, the men who were in the same battalion had fought wars before, but he was new. He was barely twenty. He was so scared, so nervous. All of a sudden, he found himself surrounded by the enemy. Shots were fired right at him, one after another. He dodged a few blows, and defended the rest with his shield. Just when he felt he could not save himself any more, one of his compatriots came to his rescue and inflicted a few blows on the enemies. But the salvo on this young man continued. It was becoming more and more difficult to fend off the shots. Then came the blow he would remember forever; one shot came right at him. He could not defend it well enough. One more young man lost out in the battle field. As an aside, who even remembers Vikram Rathour today? Six tests, seven one days and the away swinging ball always remained his weakness. His debut was in Sharjah, April 1996. He made 2 runs, his “compatriot” Sachin Tendulkar made 118. I remember that match, especially Azhar’s manic slogging in the last over. India made 305, the first ever Indian score over 300. As the 2 people who have read this blog today may have noticed, this blog now has an archive that goes back a few years. Like a Tarantino movie, it has history without having age. All the pre-2009 posts come from a movie blog I used to run called widescreenglory.com. It has a lot of short reviews, some film notes that I wrote for a local indie theatre and other random stuff. Like the summer I tried to document 100 days, 100 movies. I got to 55. Enjoy.